When you’re in an auto accident, many thoughts run through your mind: Am I injured? Is anyone else injured? What happened? I need to call the police! In the midst of this stressful time, it might not immediately occur to you to get a copy of the accident report. 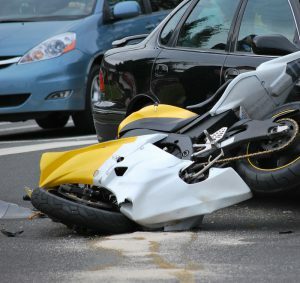 However, the accident report is definitely something you must get — and the sooner the better. If you suffer a car accident injury in Michigan, it’s crucial that you, or a family member or representative, get a copy of the accident report right away. Why is it important to get my car accident report? Your auto insurance company will likely ask for a copy of the report when you file your claim. You need to make sure the accident report is accurate. If there are any discrepancies, they will need to be addressed with the law enforcement agency that responded to the crash. If/when you decide to bring a lawsuit for damages, under Michigan law, the accident report will form the basis of your case. This will be especially true if you are seeking to prove that the other driver was negligent or somehow at-fault. Remember: this won’t be relevant to any claim you make for no-fault PIP benefits with your own insurance company, but it will be relevant if you’re seeking noneconomic damages (such as pain and suffering) or excess economic loss damages. Others involved in the accident will probably order the accident report, too, in order to begin defending themselves against potential claims. Also, while your Michigan car accident attorney will be able to request a copy of the report, these requests are not always fulfilled expeditiously. More importantly, you may not decide to seek legal representation immediately after the accident, which is even more reason why you should order your accident report as soon as possible. When you do decide hire a lawyer, your legal team will need to hit the ground running, so having the accident report in hand will be extremely helpful. If it’s an accident involving a semi-truck, time will be critical because trucking companies’ insurance carriers and investigators move quickly to gather evidence and frame the narrative in an effort to minimize the level of liability ascribed to their driver. So if you’re involved in a semi-truck accident in Michigan, it is important that you get your accident report and provide it to your attorney as soon as possible. How do I order my accident report? You may contact the law enforcement agency that responded to the traffic accident directly to order a copy of the accident report. If the accident occurred in the greater Lansing or Grand Rapids areas, you can browse the list of local agencies and contact information right here on this website. You may also order your accident report online, as long as you have the pertinent information. There may be a small fee associated with getting your report. If you order the report online, be sure you have sufficient information about the accident in order to find and purchase the report. This may include information about the driver(s) involved (i.e., their name(s)), the agency that responded to the accident and the report number. If you have any questions about ordering your car accident report, or about your auto accident in general, contact our Michigan accident attorneys.